Yes, I’m a cat person. Over the years, I have taken thousands of photos of my cats lounging at home. 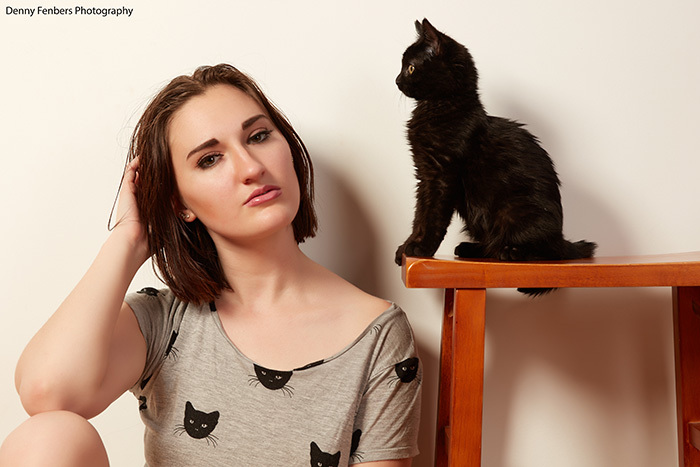 I had never before had a cat in the studio for photos. 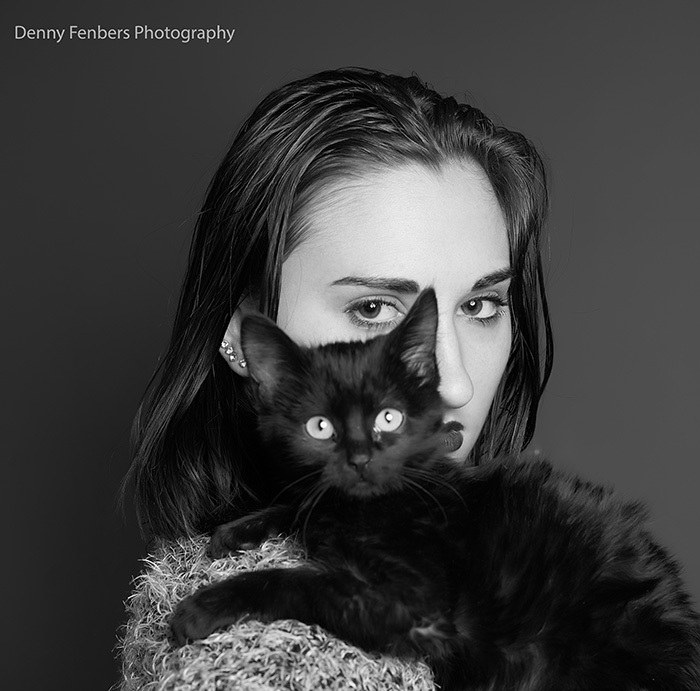 As such, I’m excited to share this fun photo session with the amazing model Becca Briggs, and her lovely kitten, Mr. Bumbles! Becca is the professional model here, but I think Mr. Bumbles is holding his own! Look at that perfect profile pose! Cat Pose! I think Becca is showing Mr. Bumbles how it’s done.